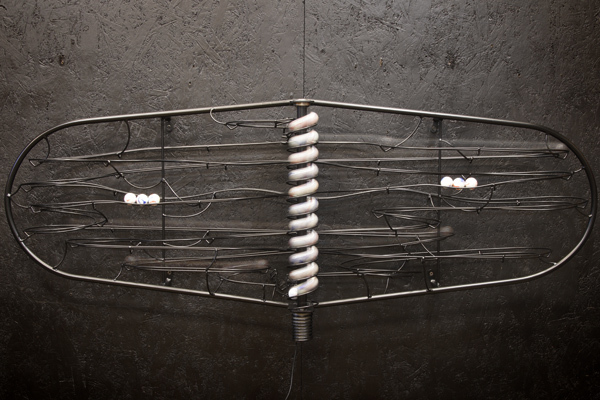 A two track rolling ball sculpture featuring the FIRST release of a new lift mechanism. The Helical is on the outside and the metal bar sweeps around the inside and drives the marbles up the helical for a unique look. The sculpture has been powder coated in matte black and is filmed with a new 2018 release marble - The "Megabot"